How much sci-fi wizardry can make its way into the real world? The latest reboot of the Star Trek franchise follows the story of a young James Kirk on his way to becoming captain of the Starship Enterprise. The movie gives Trekkies a fresh dose of fictional high-tech wizardry. But is any of this possible in the real world? Click the "Next" arrow above to see how 10 pieces of Trek tech, from teleportation to warp drive, are faring here on Earth. "Beam me up, Scotty!" Oh, how easy travel would be if the technology existed to disintegrate our bodies in one place and nearly instantaneously make them reappear at our destination. Unfortunately, that kind of teleportation remains firmly fixed in the realm of Star Trek fiction. 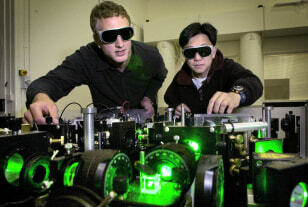 However, scientists are meeting with some success as they try to teleport messages encoded in beams of light across table-length distances, such as this experiment from 2002. More recent advances include teleporting information from one trapped atom to another. Star Trek fans know tricorders as familiar handheld devices that scan unfamiliar planets (and organisms). 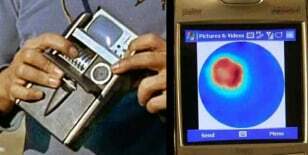 Real-world citizens, too, are becoming familiar with a host of futuristic gizmos that do everything from reading a critter's DNA to scanning patients for cancerous tumors, as shown in this side-by-side comparison of a fictional tricorder (left) and a medical scan of simulated breast tumor displayed on a cell phone. A so-called deflector shield surrounds the Starship Enterprise, protecting the spacecraft and its crew from lethal doses of radiation. 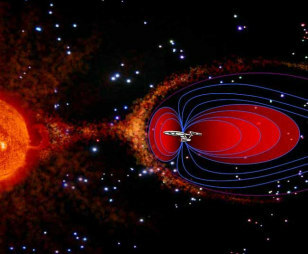 Lab experiments now suggest that a portable magnetic shield could protect real-life astronauts on a mission to Mars. The shield would force harmful particles to curve around the ship. The engineering details remain to be worked out, and for now, the shield protects only against particles from the solar wind. Gamma rays and X-rays would remain a threat. An artistic depiction of the technology deployed on the Enterprise is shown here. The weapon of choice for Trekkies is the phaser, a device that directs an adjustable beam of energy at its target. The phaser is capable of a range of effects, from a momentary stun to instant obliteration. The U.S. Air Force has developed its own prototype device with the Star Trek moniker PHaSER (Personal Halting and Stimulation Response). 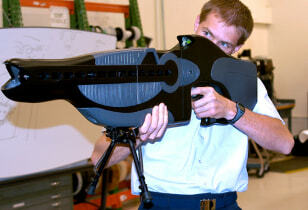 The hefty gunlike device was originally developed to blind an attacker temporarily. A second laser has since been added capable of heating up skin. Starfleet members seeking knowledge or fun can step into holodecks to experience an interactive virtual reality eerily close to life itself. 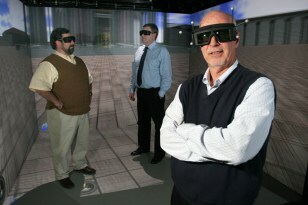 Similar technologies are beginning to emerge in the real world, including this 3-D lab at Wright State University in Ohio, where businesses can use the technology to speed up and improve the designs of products. An energy company is using it to enhance their search for oil. Other firms are embracing advances in video and audio technology to make telepresence, or videoconferencing, more realistic. The most lifelike experiences, however, remain in science fiction. In Star Trek, tractor beams are used by starships and space stations to control the movement of objects usually to pull them in closer, tow them along, or push them away. Researchers at the Massachusetts Institute of Technology have used a tractor beam of light to pick up, hold and move around individual cells on the surface of a microchip. 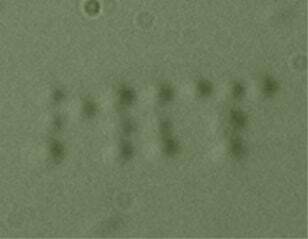 To demonstrate the technology, the researchers moved around and held in place 16 E. coli cells to spell out MIT, as shown in this image. Trek-style communicators are those little devices, handheld or sometimes worn as a badge, that allow Starfleet members to speak to others in different parts of the ship or different parts of a planet. 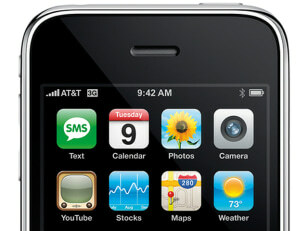 Modern-day cell phones, including the iPhone shown here, just might wow even the likes of Captain Kirk. In Star Trek, language is seldom a barrier thanks to universal translators, devices that allow people of different tongues to converse. 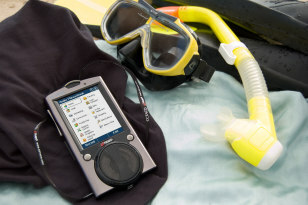 Communication among cultures in the real world remains a challenge, but basic words and phrases are no longer stumbling blocks, thanks to gadgets such as the translator from iTRAVL shown here. Speak into the device, and it will translate the word or phrase and speak it aloud. Cloaking devices are rampant in science fiction, from Star Trek to Harry Potter but they are no longer confined to the imagination. Real-world scientists are creating new materials that manipulate wavelengths of light in ways that can hide objects from detection. 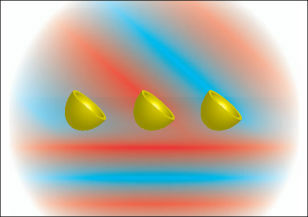 This graphic shows the basic design of a 3-D metamaterial lined with nanocups that redirect the flow of light that hits it, making the object invisible. 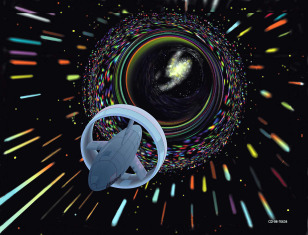 The Enterprise can travel faster than light via something called warp drive — essentially, a device that warps the space-time continuum around a starship. Many scientists have batted around ideas about how to achieve blistering speeds in real life, but most experts have concluded that, at least for now, warping the fabric of space is beyond human understanding of the laws of physics. Among the difficulties is harnessing the energy required to kick-start the propulsion.